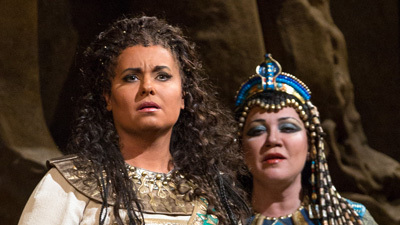 Sonja Frisell’s production captures all the grandeur and excitement of Verdi’s monumental opera, particularly the great triumphal scene where the Egyptian army, led by Plácido Domingo (Radamès), returns victorious from war. 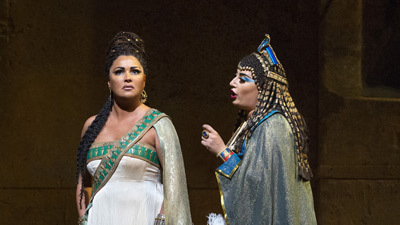 Aprile Millo is Aida, the slave girl whose love for Radamès has her squaring off with Amneris (Dolora Zajick), the Egyptian princess who also loves him. 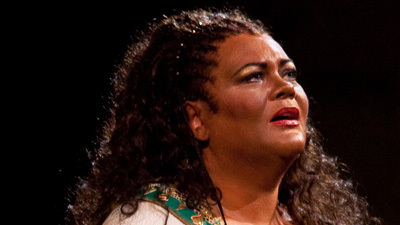 Sherrill Milnes is Amonasro, and James Levine leads the Met orchestra, chorus, and ballet.